announces the retirement of Dr. W. Perry Stokes, Jr.
Dr. Son Nguyen will assume the care of all Dr. Stokes' patients. If you have any questions, please send us an email or contact us at 337-364-3301. Welcome to our practice. Iberia Gastroenterology Associates and our staff are dedicated to servicing the residents of New Iberia and its surrounding areas. We pride ourselves on providing you and your family with the best care in gastroenterology. Colorectal Cancer is PREVENTable, TREATable, and BEATable! Colorectal Cancer Screening saves lives. Colorectal cancer is the 3rd leading killer in the U.S. But it can be prevented. 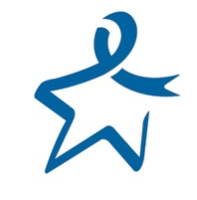 For more information regarding colorectal cancer visit www.Screen4ColonCancer.org. Colorectal cancer doesn't always cause symptoms, expecially early on. Most colorectal cancer occurs in people with no family history.